The Genesis account of the Tower of Babel is one of the best known of the ancient records of God’s early interaction with man. The lessons in this account are many and varied. I’ve often studied the scripture and the interpretations of numerous respected Bible commentators on this complex passage. If some of you, like me, have struggled with this account, you can imagine my interest in what I recently heard in Kya Sands Squatter Camp. This sprawling slum is on the outskirts of Johannesburg, South Africa. I had the privilege of leading a NHIM mission team of young adults to Kya. My daughter lives in South Africa and was the in-country leader of the NHIM team. They worked alongside a group of dedicated women who minister in Kya on a regular basis. Their ministry focuses primarily on small children from about three to six years old. They were following a scriptural model of Jesus: “Now they were bringing even infants to him that he might touch them. And when the disciples saw it, they rebuked them. But Jesus called them to him, saying, ‘Let the children come to me, and do not hinder them, for to such belongs the kingdom of God’ (Luke 18:15-17, ESV). Many of the 11 recognized languages of South Africa (plus languages from several other countries) are spoken by the various groups who reside in Kya. This often leads to confusion. Pearl, one of the ladies on the ministry team, is a black South African who speaks Zulu, English, and several other tribal languages. 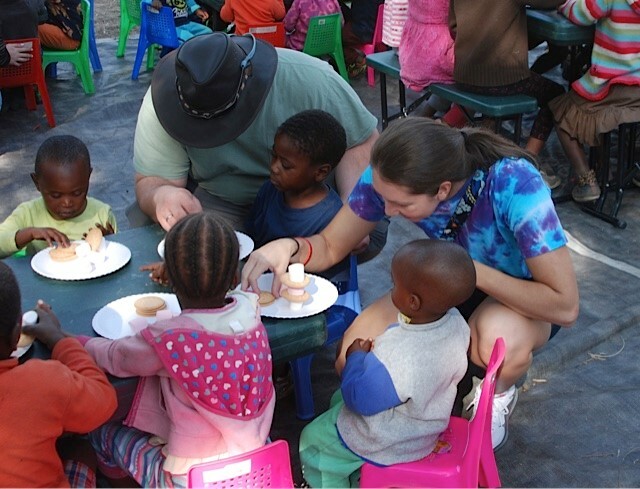 She communicates with the children and with adult helpers in Zulu, because it is the dominant language. Many of the other languages are derivatives of Zulu. I was fascinated by the way she approached the challenging account of Babel with the children. Again, following the pattern of Jesus, Pearl began the lesson with a story. (“Jesus used stories to tell all these things to the people. He always used stories to teach people,” Matthew 13:34, ICB). Utilizing other time-tested learning principles, she moved from the concrete to the abstract and also utilized hands-on experiences. 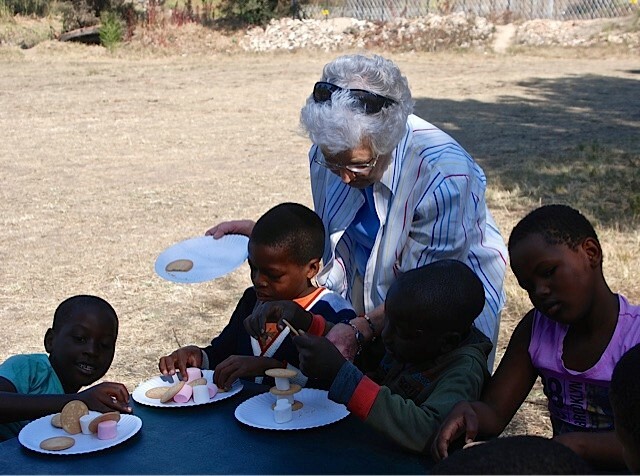 The children were each given a paper plate which held several marshmallows and thin wafers. Alternately using a wafer and a marshmallow, the children were asked to build a tower as high as they could. The children excitedly began to build. They seemed determined to reach the sky. Some succeeded in getting four or five tiers high before their tower fell. There are no short cuts to heaven. There is only one way to the Father. There is no other foundation than Jesus upon which we can build our lives. The inability to understand others leads to confusion, hostility, and division. God takes a personal interest in what we are doing. It is foolish to leave God out of our plans for the future. When people are motivated by pride and arrogance, when they want to ‘make a name for themselves’, they invite disaster.